When we made the plan to make this superb new element of our service available, we took into account the fact that some new or long term members may have other commitments or be just unable to attend a Live Event. 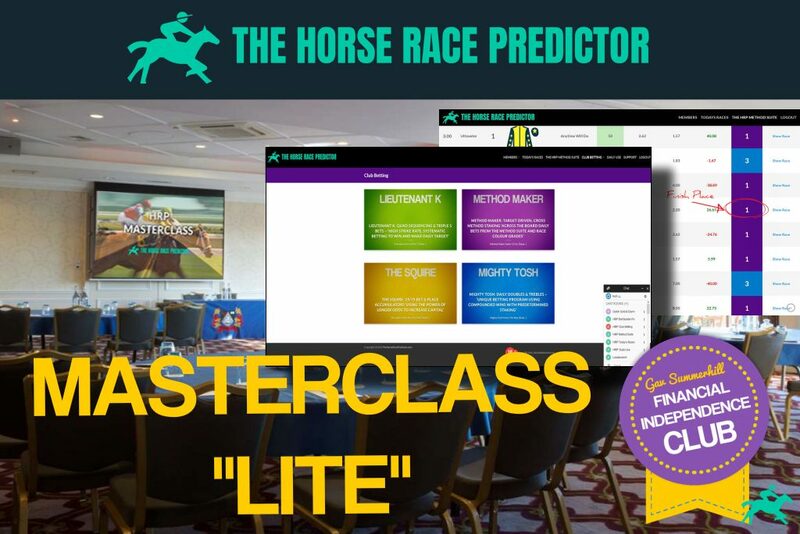 Therefore, I have put together the a Masterclass LITE product and course, which will ensure you can have all the benefits of this program but in the luxury of your own home or office space! The MasterClass Event was filmed and this now allows you to enjoy the highlights of the event from the comfort of your own home. There are just 10 places of this LITE package available and is by invite only. Private video suite in your Masterclass members area. It’s important that you get your purchase and booking in today, we will be limited as to how many people can be assisted by your personal betting concierge. We have made just 10 of these LITE packages available. PLEASE NOTE: An active membership with The Horse Race Predictor is required. Can be purchased later if you are not yet a member. “A tad early because of the equine flu outbreak but I have enough data to form a view of this service: this will be approved and is possibly the best service I have reviewed in over 10 years! Do I have to be a member of The Horse Race Predictor? Yes, you have to have an active HRP account. If you are not signed up yet you can do that here. I am new to betting and have no or little experience? This is the perfect opportunity to bypass months if not years of learning, in a friendly and positive environment. 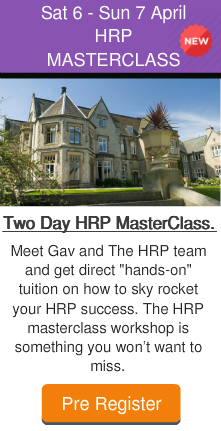 You can expect to go from novice to expert in two days by attending this event. We will be limited as to how many people can be assisted by your personal betting concierge. 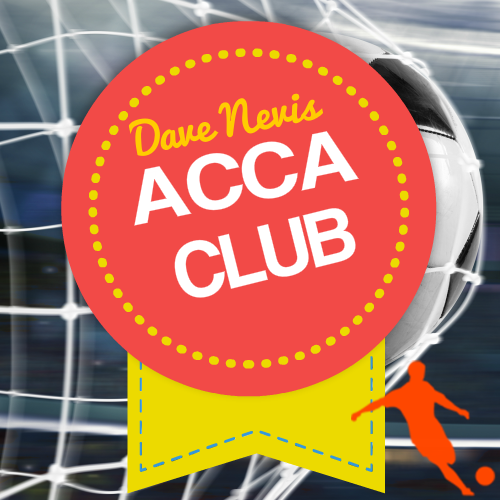 Yes, this course is a distillation of multiple areas of betting expertise that can be studied from your own home. We will present a road map to daily betting profit that is a long term investment of the very highest and most enjoyable kind. Any customer who accesses the course material and/or downloads the software will lose their right to a refund. If you have any other questions please open a support ticket here.